How Cost Effective is Aluminum Siding? Aluminum siding is a great option if you want to give your home a fresh look, as well as long lasting protection from the elements. Aluminum siding comes in a wide variety of colors and can convincingly create the look of more expensive wood siding. Modern aluminum siding is dent-resistant, impervious to insects, and fire-proof. In fact, if you live in an area that is prone to wildfires, installing aluminum siding may help you get a discount on your homeowner’s insurance premiums. Aluminum siding requires very little maintenance and with proper care can last up to 40 years. In addition to the benefits mentioned above, aluminum siding is also very lightweight, making for a quick and low-cost installation. The color of your siding is also baked on, meaning it won’t need frequent repainting like with wood siding. Additionally, if you’re looking to reduce your environmental impact, most aluminum siding contains up to 30% of recycled content. To put that in perspective, covering a typical 2,000 square foot home in wood siding would take the equivalent of 40 to 50 trees, or one acre. In contrast, covering the same size home in aluminum siding is the equivalent of salvaging the metal from 6 scrapped cars. While modern aluminum siding is significantly more dent resistant, dents can still be a problem depending on the area where your home is located. If you live in an area that is prone to storms, especially hail, denting can still be a problem. That said, severely dented panels can be easily replaced. Scratching is also a concern, but most can be touched up with quality, color-matched house paint. Aluminum siding is one of the more cost-effective materials on the market ($3 to $6 per square foot) and you can expect it to last at least 40 years. Because of the lightweight panels, installation is relatively simple, making it a project that you may be able to take on as a homeowner, saving you the cost of professional installation. Additionally, according to the 2016 Cost vs. Value report, replacing your siding can yield a 77% rate of return on your investment. While you can use a standard hammer to install your aluminum siding, only use aluminum nails. The nails should have 1/8-inch shanks, heads at least 5/16 inch in diameter, and be able to penetrate backing by at least 3/4 inch. To prevent your siding from looking bumpy and to ensure that your siding gives your home the best protection against the elements, you’ll need to create a smooth surface for which to attach your siding. For aluminum siding, 3/8 inch foam board insulation is a reliable backing option. If you are applying your siding over existing siding you’ll need to nail down any loose boards and replace any rotten ones to prevent rot from spreading into your home. Remove loose caulk and re-caulk around windows and doors to prevent moisture penetration. You’ll also need to remove gutters, downspouts, and light fixtures. Finally, seal all cracks to make the house airtight–which will help keep your energy bills lows. Pressure wash once or twice a year to eliminate the faded or chalky look of oxidized paint and to prevent dirt, dust, or mold from accumulating. Fill the plastic dip tube of the pressure washer with laundry detergent and your siding will remain bright and shiny for years. Use bleach and a soft bristle cleaning brush on any spots where mildew has accumulated. For a more eco-friendly option to bleach, try vinegar or borax. You’ll want to thoroughly rinse your siding before and after using any cleaning solution to prevent marks from where the solution dries. 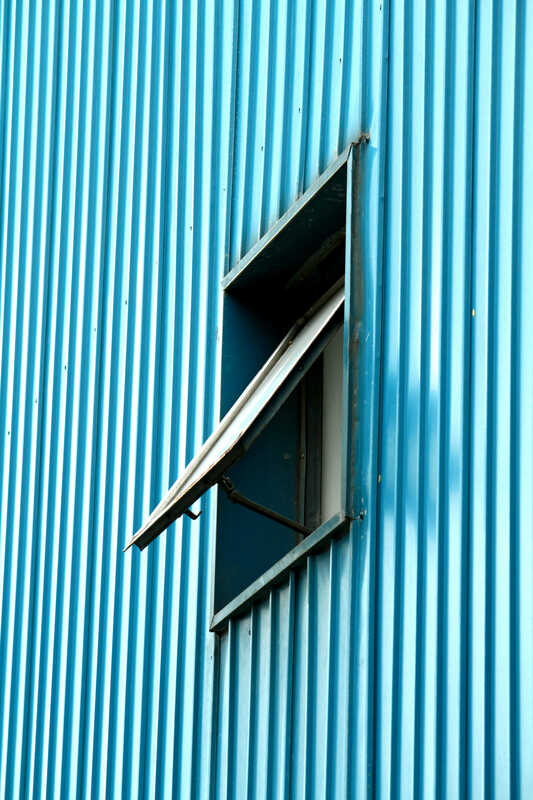 Aluminum siding is prone to scratching, so be careful never to scrape it. If you need to sand it, use 400-600 grit sandpaper. For a quick color touchup and repair, use a color-matched spray paint. If your siding is bare (no colored enamel baked on), use a zinc oxide primer to keep your siding looking good. If the need arises to patch an aluminum surface, use a filler that is specifically made for metal, like Bondo for cars.